I may have gotten ahead of myself last month. I wrote that last month's podcast would be the last one I create from my old home because I'm moving. However, I forgot that I'm not moving until the end of this month (even though I have possession of it now). Since I won't have time to unpack and put together this month's episode at the end of the month, I've created it from my old home before I move. So this episode is in fact my last from my old home. Next month's mix will be the first from my new location, and it will also be the 1 year anniversary for this podcast. Last month's mix had a deep and contemplative theme, which acted as my farewell to my old home. 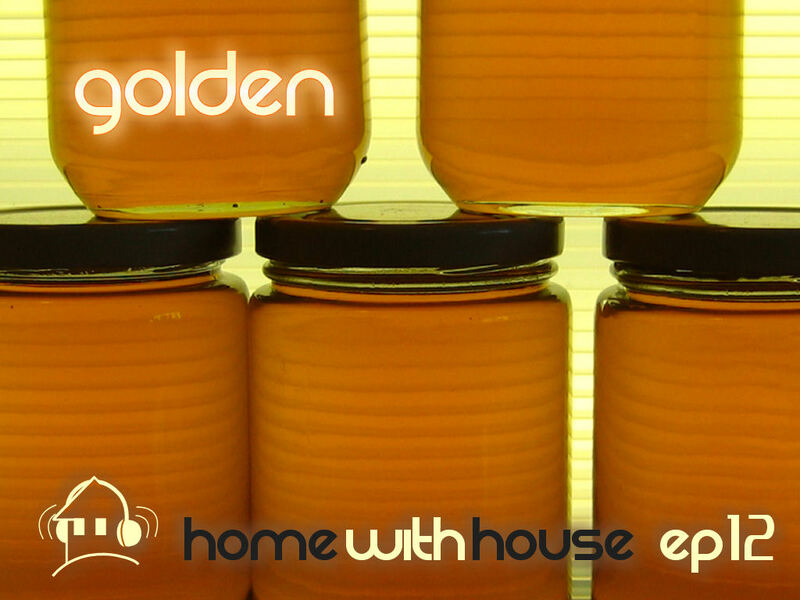 This month's Home with House episode is the exact opposite. This mix has an uplifting, upbeat and happy theme which mirrors my current mood and excitement for my new home. It's full of funky, progressive and vocal tracks with a cheerful vibe. I had a lot of fun putting this one together and it ended up being another 2 hour long mix. So I hope you enjoy episode 12, it's called "Golden". Mate let me express my feelings for you : I LOVE YOUR MUSIC ... just excellent stuff here .. please keep up the good work and thanks for sharing it with us !! I wish you could put some more of your mixes up on this site !! Good stuff brother, good stuff! You should come visit us in San Francisco with some of your grooves, thanx.